Emirates has launched a special promotion linked to the Rugby World Cup. To get the discount you MUST use promo code UKRWC19 on this page of emirates.com. Click on ‘Advanced Search’ to see the box where promo codes must be entered. Thanks to Alison for this. If you still have the “not available to new applicants” Marriott Mastercard, issued by Creation, there is a bonus points offer running at present. You should log in to your account to check you are targeted, although it seems most (all?) people are. You should see the box below pop up. You will receive double points on all spending charged to the card between 15th April and 8th June. 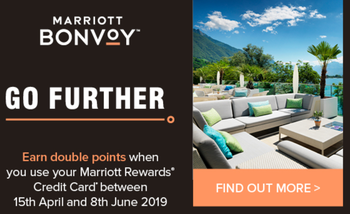 This means that you will receive two Marriott Bonvoy points per £1 spent. It is not clear if you will receive double points on Marriott spending, which already earns double points. I value a Marriott Bonvoy point at 0.5p, although I might look at this again once peak and off-peak pricing is launched later in the year. This means that you are getting 1p of points per £1 spent, which is a great return for a free Mastercard. I still might not take them up on the offer, however. I have my Lufthansa Miles & More Mastercard earning 1.25 Lufthansa miles per £1, and whilst it has a £79 fee it is a sunk cost for me for the rest of 2019. We also have close to 1 million Marriott Bonvoy points between us, so the marginal value of earning more is low. Your situation may differ. 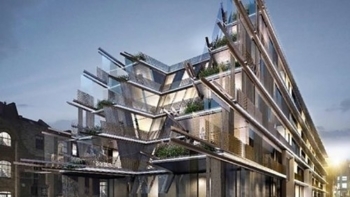 London’s dullest Radisson Blu to become a Nobu Hotel! 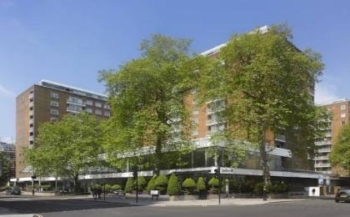 The Radisson Blu hotel in Portman Square, just behind John Lewis Oxford Street, is to become London’s second Nobu Hotel! Radisson Blu will be closing on 18th April, re-opening following refurbishment in 2020. In an attempt to empty itself out earlier, it has put up its room rate for 17th April to £700! This is, to put it mildly, an odd move. The existing hotel is clearly not being demolished if it is re-opening after just a year. This is an exceptionally dull hotel, however, and I assume the exterior is not changing. Whilst the equally dull interiors will presumably be ripped out, I think it is going to struggle to get much of a vibe. The current Nobu Hotel in Shoreditch was designed by Ron Arad Architects and is a spectacular piece of work. The only upside I can see is that, with Locanda Locatelli literally next door in Hyatt Regency The Churchill, there is an existing foodie clientele in the area. You can see my point! OT. Email saying save 25% when you buy 5000 or more Bonvoy points. Runs until May 15th 2019. Don’t know if it’s targeted. I got it too, probably open to all. Interesting to see that SPG thing surviving the merger. How do I get the Marriott website to show prices in GBP? I want to price up some potential stays. Every property shows in the local currency. I’m sure there’s an option to change to GBP somewhere. Might be desktop only or app only, I can’t remember which.